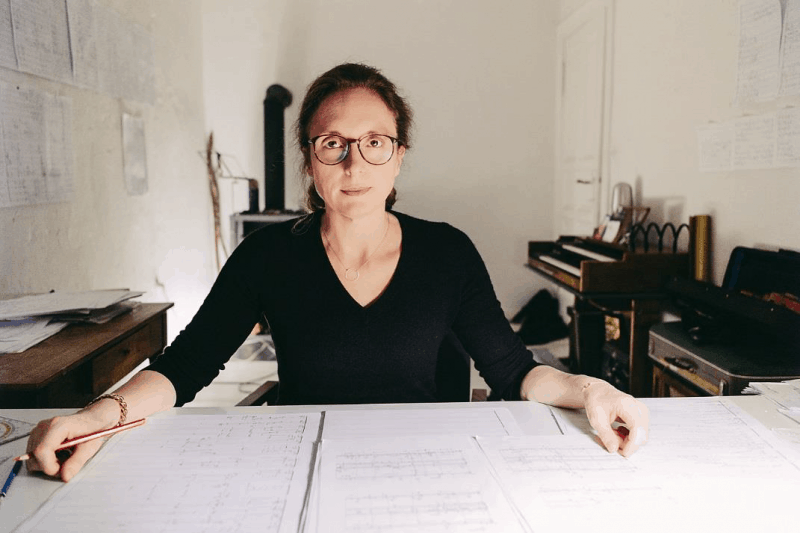 hcmf// would like to congratulate Rebecca Saunders on the spectacular achievement of winning the 2019 Ernst von Siemens Music Prize. The award recognises unique contributions to music, and Saunders deservedly joins the illustrious company of previous award-winners including Benjamin Britten, Harrison Birtwistle and Brian Ferneyhough. hcmf// is proud to have been a part of Rebecca Saunders’ incredible career. The festival has produced over a decade’s worth of work with Saunders, including many memorable commissions and premieres. Her work continues to be as radical and probing as it was in 1999, as evidenced by 2018’s UK Premiere of Yes, a grandiose new composition performed by Ensemble Musikfabrik. A second concert by members of the ensemble, featuring new works aether and dust, was another of hcmf// 2018’s highlights. Saunders’ work has been in a constant state of revolution. hcmf// had the opportunity to provide a space for her composition Chroma in 2010, highlighting her singular approach to sound and spatiality. hcmf// also delivered the UK premiere of Skin, performed in 2016 by Klangforum Wien, in a concert that the Guardian described as ‘making use of every aural detail these musicians could create.’ This immersive, richly detailed music is what makes Saunders one of today’s most vital composers. hcmf// is the co-commissioner of a new work for ensemble from Saunders for presentation at hcmf// 2019.